Eliminate the need for window envelopes and ensure the privacy of important customer or patient information. Inline envelope printing enhances customer information and security. 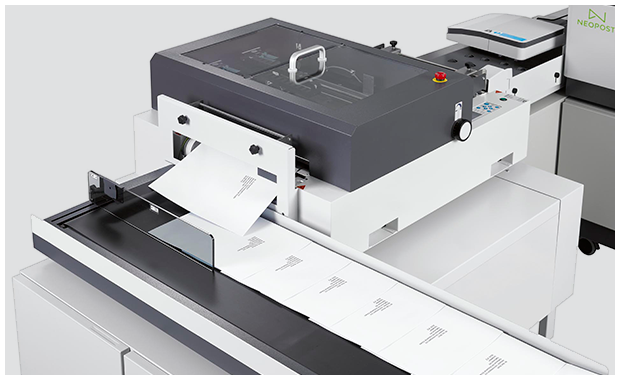 Each personalized document is recorded by the folder inserter and a single secure system prints the recipients name and address on a closed-face envelope. 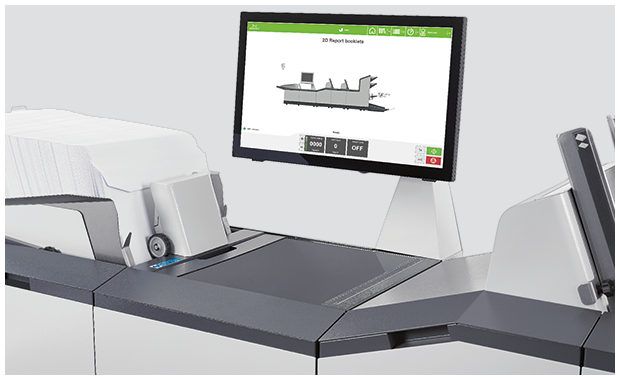 Designed to meet the workflow demands of almost every application, the DS-600i also has the ability to process flats efficiently. The widescreen color touch screen and wizard-based programming simplify operation. Infinite memory capacity allows you to store preprogrammed jobs for easy recall. Automated system set up guarantees fast and easy job changeover while predictive intelligence estimates when your job will be complete. 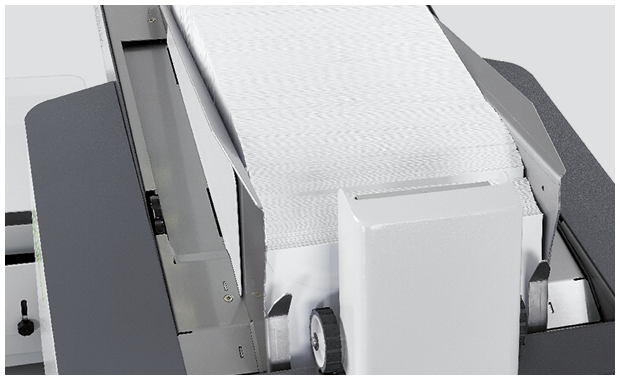 Assemble mailings at speeds of up to 6,000 pieces per hour. 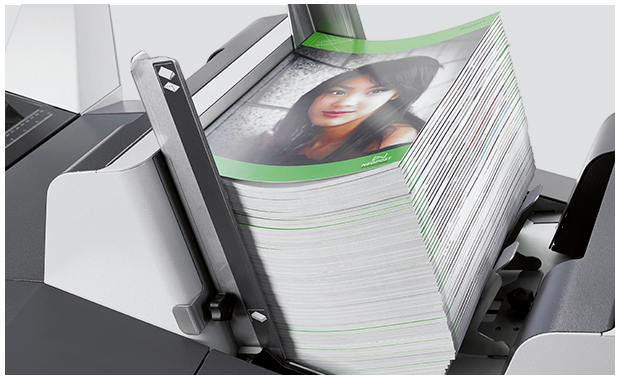 Advanced accumulation speed, the ability to process flats with up to 72 pages and booklets up to 6 mm maximum output. Inline printing and metering are available to optimize your mail assembly process. Document feeders accommodate a wide variety of material combinations from sheets up to 16” to inserts as small as 3x5”. It can also fold up to 8 sheets single or letter fold. This scalable folder inserter is designed to grow to up to 11 feed stations to meet your needs as they expand. Exclusive technology prevents double document errors. Barcode scanning technology reads codes anywhere on the documents, allowing for flexible document layout. Process variable-page document sets and selectively include enclosures with absolute accuracy.